Welcome to Wild Horse Racing! We are pleased to announce the 11th Annual Nanny Goat 12/24/100: the flagship event in the new Wild Horse Racing Series! Your Race Directors are Shelli Sexton and Rachael Kadell. 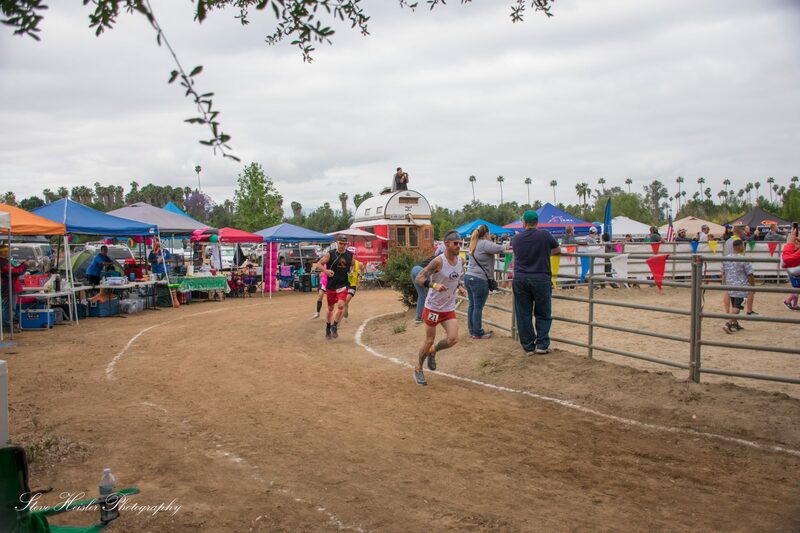 For 10 years, the Sexton family has hosted the Nanny Goat 24-hour race on their private horse ranch located in Riverside, California. Shelli and Rachael are delighted and honored to continue the tradition with dates, times, and venue the same as it has been for the last 10 years, but with a fresh new feel and some added fun for families. The race takes place over Memorial Day Weekend on a one-mile dirt loop around the perimeter of the ranch. The goal is to complete as many laps as possible within the allotted 4, 12 or 24-hour period, either solo or as a relay team of up to 4 runners. A 100-mile option is available for those who want to tackle their first 100-miler or PR at that distance. All 100-mile entrants must complete 75 miles by 8:00 am on Sunday. Those runners may continue until reaching 100 miles or until 2:00pm. The course is flat, the footing is good (bar a few gopher holes), and the trail is wide enough to allow easy passing. Support is never more than a half mile away as it is in the main barn on the property through which runners pass every loop. Camping is available within a few feet of the course on a first-come basis and there is ample parking on the ranch. A limited number of stalls in the barn are available for use by runners and crew. The 24-hour race will start on Saturday morning at 8:00 am and will end on Sunday at 8:00 am. 12-hour runners may opt for daytime or night-time 12-hour segment (8:00 am to 8:00 pm on Saturday or 8:00 pm Saturday to 8:00 am Sunday). Swag will be presented to all entrants, including tech shirts, buffs and gifts from our Sponsors. There will be medals for all, regardless of how many loops completed, with buckles for 100-mile finishers, including a special buckle for relay teams who complete at least 100-miles. Legacy runners wanting the next buckle in the Nanny Goat series will be presented with it at the finish line. There will be awards for first, second and third male/female in each event and for the relay team with most miles, plus prizes for best costume, best Nanny Goat spirit, and much, more more! In addition to race food and beverages provided in the transition area, there will be popsicles on Saturday, a Saturday afternoon BBQ, and a Sunday morning breakfast for runners and race volunteers. Crews, spectators, friends, and family members may enjoy the BBQ and breakfast for a $20 fee ($10 children 12 and under) payable online or at the event. Wristbands will be given to those who purchase the meal plan. The charity chosen by Shelli and Rachael is the Stephen Siller Tunnel to Towers Foundation. Proceeds from the sale of wristbands will be donated to this charity.